This is the most recent information about Out Of The Grey that has been submitted to amIright. If we have more information about Out Of The Grey, then we provide a link to the section where it appears (the actual page whenever possible). "Race, Mercy, And Peace" originally "Grace, Mercy And Peace"
"Grace, Mercy, And Pace" originally "Grace, Mercy And Peace"
"Grace, Mercy, And Peach" originally "Grace, Mercy And Peace"
"Grace, Mercy, And Place" originally "Grace, Mercy And Peace"
"Grape, Mercy, And Peace" originally "Grace, Mercy And Peace"
"Grave, Mercy, And Peace" originally "Grace, Mercy And Peace"
A variant spelling of the word gray. Some people have probably misspelt the first performer's name this way. Wouldn't that be a pair: A Christian band with a Satanic band from Japan? 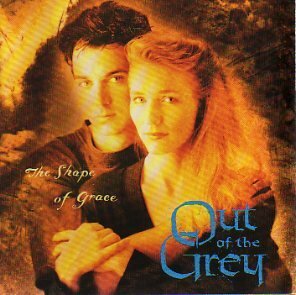 Grout Of The A originally "Out Of The Grey"
Gout Of The Ray originally "Out Of The Grey"
This is found at the end of the 6.1 album, OOTG's lone non-Sparrow Records-released project. Scott Dente's guitar solo after a brief period of silence extends the song to 7:28. The track is previewed in an earlier track on the same album.